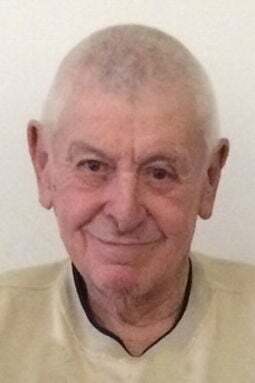 Kenneth L. Trejo, 82, of Lincoln, passed away Monday, April 15, 2019, in Lincoln at his home. Ken was born in San Luis Obispo, California, on February 5, 1936. He grew up in Riverside, California, and was one of four children born to Alex and Deloras Trejo. He enlisted into the United States Air Force in 1954 and was stationed at the Air Base in Lincoln where he met Phyllis Kopke. They married in June of 1959 and had two children. For many years he worked on different concrete crews with the City of Lincoln and later worked at various construction companies as a concrete finisher. Ken delivered Meals on Wheels for 12 years, was a safety conductor for the Lincoln Children's Zoo and was an active member of the Cornhusker Kiwanis. Ken was an avid fisherman and found many opportunities to take his grandkids fishing. Ken is survived by his two children Jerry & Lynette Trejo and Lyndon & Lori Hiebner; grandchildren, Lindsey Trejo and fiancé Darrian McDonald of Atlanta, Ga., Austin Trejo and Lance and Laramie Hiebner all of Lincoln; granddogs Marley and Shadow, and sister LaRae and Ray Cox of Rutland, Vt., and brother-in-law Tommy Rollins of Blythe, Calif., and many nieces and nephews. He was preceded in death by his wife of 54 years Phyllis, parents, his mother and father-in-law Herman & Ethel Kopke, his brother and sister-in-law Elwin & Roberta Trejo and sister Shirley Rollins of Blythe, Calif.
A private family service will be on Friday, April 19, 2019. Visitation with family will be from 7-9 pm on Thursday, April 18, at Butherus Maser & Love, 4040 A St., Lincoln. Memorials are suggested to Lincoln Children's Zoo. Condolences may be left at www.bmlfh.com.